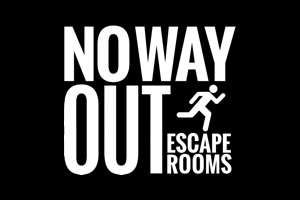 Real Escape Game in Toronto has always proven to be an enigma for enthusiasts. No matter how many people I’ve talked to, everyone (including yours truly) lists Escape From The Time Travel Lab as one of their all time favourite escape rooms. These same people will also tell you that Mystery Room and the escape adventures offered at Casa Loma fall short of living up to the same standard. Each time Real Escape Game or Company & Co. announces the release of a new game, you’ll find hundreds, if not thousands of enthusiasts anxiously holding their breath to see if the new game can recapture some of that former glory… So then, did Trial Of The Mad Fox Society make the cut? First the pre-room experience. As you would’ve experienced in their other games, you are instantly swept into the scenario and welcomed by staff in character… the society of the mad fox awaits. As you enter the introduction room you will be given your objective and told why you arrived (you thought it was just a night out with friends didn’t you?) At this time you’ll also be introduced to your fellow team members (in case you didn’t book a full party of 11 on your own). Full disclosure, I’ve always liked the way REG / Company & Co. approach their pre-room experience. It’s nothing fancy, but it sets the mood and adds to the experience. Far better than the standard procedure of other companies where a young student stands in front of you with a clipboard reading a story with as much enthusiasm as… well… a young student with a clipboard. The room quality wasn’t anything exceptionally good or bad to take note of. By all accounts it was average and will most likely go unnoticed by most enthusiasts and newbies alike. Those who search specifically for impressive set design might be a bit disappointed, but the Trial Of The Mad Fox Society has clearly placed its focus in other areas. The immersive elements of this room were good. There was a sense of suspended reality for most of our review team (an impressive feat considering experienced players tend to be more critical of intangible factors like immersion). The story, theme & puzzles worked together to help support the overall experience which was also nice. 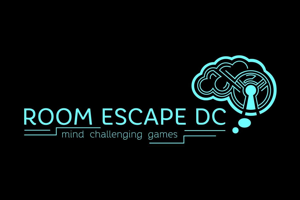 By this point you might be thinking this escape room sounds like another average or slightly disappointing experience… but you’d be wrong to assume so. The puzzles were a very enjoyable part of this experience! Although it’s usually the case that REG & Company & Co. do a great job with “open path” rooms, this room does it exceptionally well! It definitely felt more like Escape The Time Travel Lab than any of their other games. Was it as fun or clever? Honestly, no. But it wasn’t far from it either. Those who enjoyed the communication and hectic scramble of working fervently on separate tasks towards a common goal of in Time Travel Lab, will once again enjoy the same atmosphere in Trial Of The Mad Fox Society. I would personally describe this as one of the better team building experiences offered in Toronto right now, so if that’s something you enjoy, this is a room designed for you. Some guests on our team did feel the puzzles lacked a certain ‘wow’ or ‘cleverness’ factor, but others didn’t seem to mind too much. Again, personal preferences can often sway analysis so be cautioned there was quite a range of perception when it came to puzzles in this room. The BIG question: Would we recommend this room? Yes, absolutely! Although it’s not as enjoyable as Escape The Time Travel Lab, it is safe to say Trial Of The Mad Fox Society ranks as a solid #2 offering from REG / Company & Co. in my books. The puzzles, team work, subsequent team building, and atmosphere, combined together with a solid immersive experience made this an enjoyable room for me. Again those who are lone wolves, or dominant, or those who don’t like being forced into team building, might not enjoy this room as much as we did. The key here is that this room is great for large groups and is sure to bring a smile to most people’s faces – but work fast because you don’t have much time to impress the Mad Fox Society!